All LODGE AT STILLWATER homes currently listed for sale in Heber City as of 04/22/2019 are shown below. You can change the search criteria at any time by pressing the 'Change Search' button below. "The only 3 bedroom, 4 bathroom unit at the Lodge at Stillwater. This 1,563 sf updated Stillwater residence is in a private location of the building on the ground level. 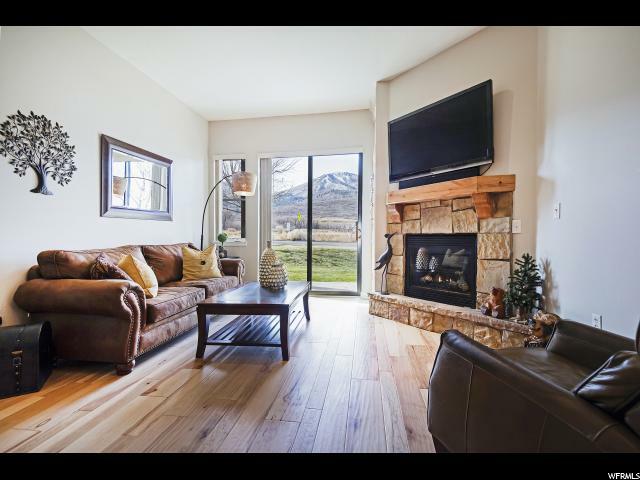 Stunning, unobstructed mountain views, next to both the Deer Valley Resort and Jordanelle Marina. Conveniently located with quick access to Main Street Park City, the Jordanelle Marina, and directly across from Deer Valley Deer Crest Gondola, it's the perfect location for future development plans of the Deer Valley Mayflower area. With 4 separate lockout units, this property has multiple configuration options. Can be easily transformed to a studio with 3 lockout units, to a 3 bedroom, 4 bath unit and everything in between. All four lockouts have their own furnace, A/C, walkout patio and are ADA accessible. Perfect for a full time residence, vacation home or investment property. Nightly rentals allowed, includes 2 owners closets. 35 minutes from SLC Airport."